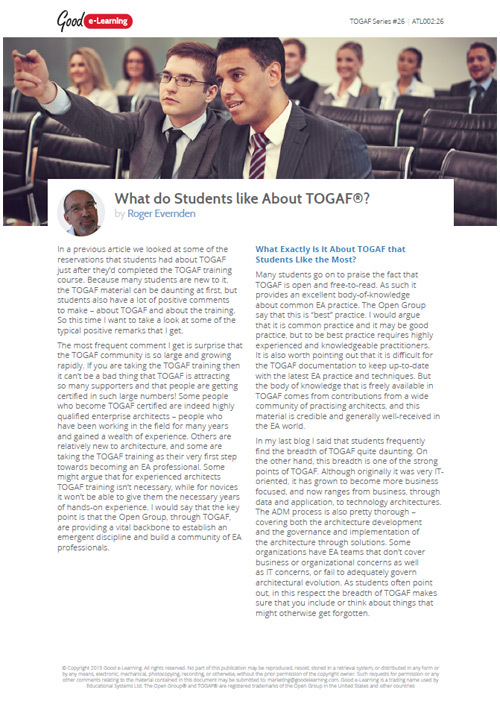 What do Students Like About TOGAF? A common comment we receive is surprise that the TOGAF community is so large and growing so rapidly! In this article, we look at some of the things that students have said they enjoyed about TOGAF just after they complete the TOGAF training course.